Vitamin D is important for healthy bone development and immune system health. It facilitates efficient calcium utilization, which in turn helps form and maintain strong bones and teeth. Vitamin D also contributes to a healthy immune system. 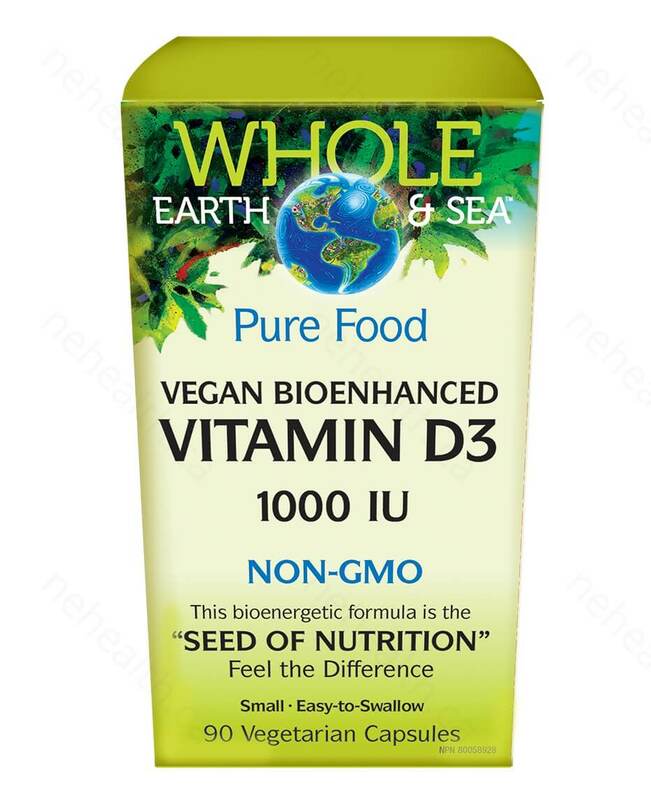 Since the chief dietary source of vitamin D is fish and fortified dairy products, strict vegetarians and vegans are often lacking in vitamin D.
Vegan Bioenhanced Vitamin D3 is a new plant-based source of this essential nutrient, developed especially for vegans and vegetarians. Carefully extracted from lichen, it provides natural vitamin D in its most bioactive form, cholecalciferol (vitamin D3). It is sourced from a unique species of non-GMO lichen which has the ability to produce vitamin D in the natural D3 form. 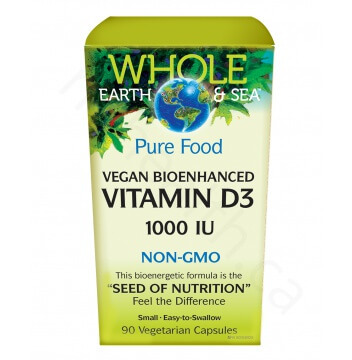 Vitamin D3 is more easily absorbed and utilized by the body. The lichen is wild-harvested, extracted in a sustainable manner and carefully processed to ensure optimum purity and stability. Non-medicinal ingredients: Microcrystalline cellulose, vegetarian capsule (carbohydrate gum [cellulose], purified water), vegetable lubricant (palm). 1 capsule daily or as directed by a healthcare practitioner.